We have seen most athletes come into Braeburn today. Right now there is only 100 miler and xc-skier Thomas Keller still out there. He will be here a long time before cut-off. To take on the challenge of skiing in this event is a tough one. It seems obvious that skiing would be a great method of travel in the coldest and toughest ultra marathon in the world – there’s plenty of snow and the trail is relatively flat – who wouldn’t want to ski it? Well I can tell you the trail is not best for skiing – there are many places where it is so undulating that to get up a good, consistent rhythm for fast skiing is nigh on impossible. This is why the skiers often are slow and so we should applaud Thomas Keller for his patience and endurance on what can be a very frustrating trail. For the 300 miles things are in full swing. Braeburn Lodge has been really busy for Steve and his fabulous crew of chefs, bringing out enormous burgers and cinnamon buns for hungry athletes. Last night headquarters was busy too with both cabins full of tired, snoring volunteers and guides and the office buzzing with journalists and photographers uploading their photos and stories. Don Banks was in his element cooking the best pizza in the Yukon for a hungry bunch of guides (and Race HQ). There have been a small number of people who have had to end their race early due to medical issues – it seems unfair when we prepare so well for something only for our stupid bodies to let us down! 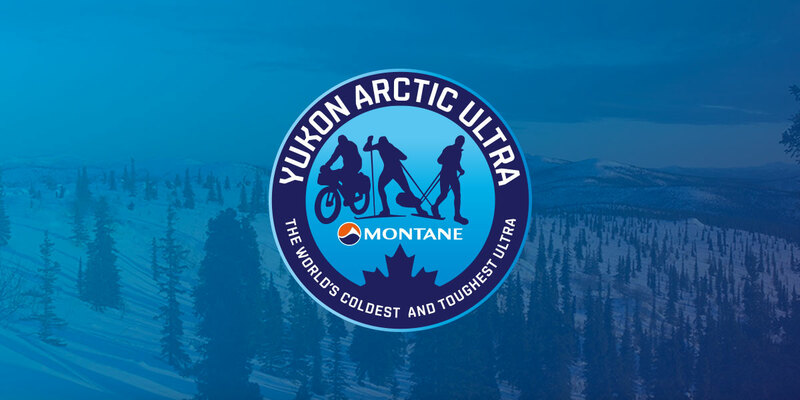 But one’s personal health and safety should always take priority over an event – after all the Yukon will still be here next year – as so many other returning athletes can testify – there’s always another race another year. So currently the bikers are in the lead. Florian already left for McCabe where he plans on getting a good rest. Tim is resting at Carmacks which is an indoor check point with some elements of luxury – this is one of the few check points where the athletes can take a shower. What a blissful though after travelling in the freezing cold for over 36 hours. 🙂 And if anyone has time they can have a curling match on the indoor curling rink! News from Dog Grave Lake checkpoint is that it is now closed as all the athletes have come through and the crew there have packed it down and are back in to Braeburn ready for some more crewing of further checkpoints. No more reports of frostbite which is great. Diane is in Carmacks where she is waiting for Jan Kriska who is our leading runner in the 300 mile race.